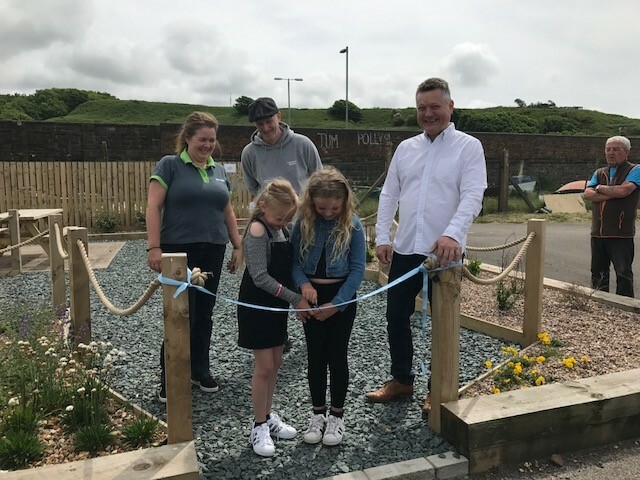 Mike Starkie, mayor of Copeland, attended the ribbon-cutting at the garden in Parton, created to remember villagers Frank Taggarty, Wendy Morton and Barbara Peel. The garden was created in a joint project between Parton Parish Council and NuGen's Green Grants scheme. Joining Mr Starkie at the opening were Kevin Young, chair of the parish council, and Paula Madill, NuGen's head of environment. Mr Starkie, a member of the Green Grants panel, said: "It was a pleasure to sit on the Green Grants panel to decide which of a host of worthy environmental projects in Copeland should receive funding. "And I was delighted to attend the opening event to see a fantastic project like this - turning an area of wasteland into an attractive centrepiece of the village - come to fruition."